Winter can mean freezing temperatures and this can lead to frozen pipes. When water freezes in pipes it expands causing pipes to burst. Plumbing problems in Springfield Gardens during the winter abound; even if you live in a warmer climate it can pose a problem at times. If you have had problems with frozen pipes in the past, those same pipes are obvious problem spots. Insulation alone won't keep most pipes from freezing. 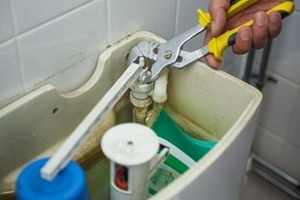 When they do freeze, you need a reliable Springfield Gardens plumber that can provide you with the repairs and thawing solutions that work. 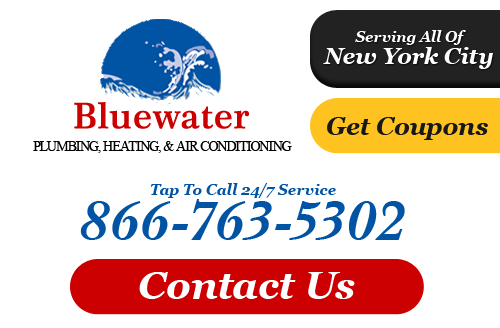 You need Bluewater Plumbing, Heating, and Air Conditioning. One tactic that may help to keep pipes from freezing is to keep a heat source near problem spots. If at any point you are unsure of what to do to keep your pipes from freezing call a professional plumber in Springfield Gardens, NY for help. Preventing your pipes from bursting is a better option that mopping up water for hours or days. If you are looking for a professional Springfield Gardens plumber or heating contractor then please call 866-763-5302 or complete our online request form.